Wireless internet access is available at all Kingston University locations. Eduroam is the network connection for students and staff. It provides fast access to the internet and to secure online University resources. Available seamlessly across all campus sites - including halls of residence - eduroam is the global standard for academic institutions meaning that staff and students can also access it when visiting many other institutions worldwide. 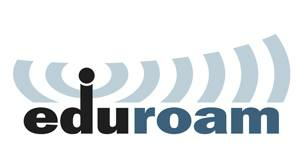 To connect to eduroam with your device use your K number with @kingston.ac.uk (for example K1234567@kingston.ac.uk). Then enter your normal login password. Guests can access the internet through _TheCloud which is available on all campus sites (with the exception of halls of residence where staff and students are able to access eduroam). If you are a visitor to the University and wish to access the internet, select _The Cloud from available networks on your device and either register for a free personal account if you are a first time Cloud user or log in to your existing personal account. Visiting academics can click read this guide to find out how to access WiFi at Kingston University.